Authors have been turning to crowdfunding sites in droves to raise money for publishing projects. After all, things like editing, formatting, digital conversion, marketing, publicity, registration and distribution ain't cheap. And while the mainstay sites like Kickstarter and Indiegogo are certainly viable, it was only a matter of time before someone built a platform tailored directly to writers. Like other crowdfunding sites, it gives you a chance to submit your writing project to the democratic funding process of the internet: Make your case, raise some money, give away prizes, build and gauge an audience, and get the support you need to bring your project to reality. To get started, you submit 10 pages of your story, and a summary of your manuscript. The site was "inspired by the struggles of authors like J.K. Rowling, whose bestselling Harry Potter series was 'slushed', or passed over, by the 12 publishers to which it was initially sent." It features flexible funding, letting you keep what you raise (as long as you raise at least $500). So even if you don't meet your goal, you've still got some funding to help you move forward. They're on the lower end of the spectrum when it comes to fees. Kickstarter collects a 5 percent fee from the funds you raise. Indiegogo collects 4 percent, but only if you reach your funding goal. If not, they take 9 percent. Pubslush collects 4 percent flat (none of this is counting processing fees—all three sites charge around 3 percent more for credit card processing). Pubslush doesn't just help fund books, it also acquires them. While authors (or agents or publishers) are welcome to raise money for traditional or self-publishing projects, Pubslush Press may offer to put out a project that's trending strongly and building buzz. Pubslush contributes to literacy initiatives for children worldwide. 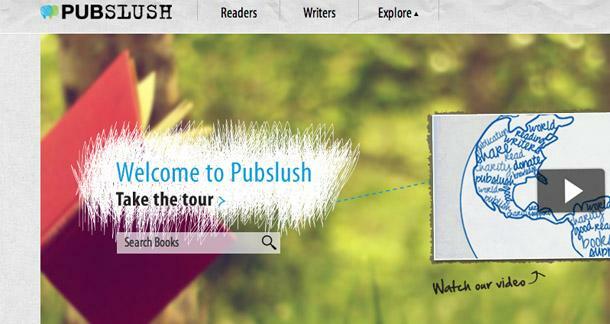 For every books Pubslush Press sells, they donate a children's book to a child in need. They also allow authors to donate a portion of the money they've raised to support children's literary. There's a lot of different takes on the application of crowdfunding. I wrote a piece about the practice earlier this year. Our own Kelly Thompson also wrote a great piece about fundraising online for comic book projects. How do you feel about the concept of crowdfunding—especially as we enter into the DIY-era of publishing? And what do you think about what Pubslush has to offer? Does its author-friendly platform make you more inclined to check them out before the other sites that are a little more general? Can't hurt. Anything that lets a few more people get their work out seems like a good thing, although I wonder if too many of these pop up if it will mean no one gets enough help to make a real difference. The book is a solutions-based autobiographical account of the last 40 years of education titled "Why We Failed: 40 Years of Education Reform." My question: what makes Pubslush better than Kickstarter and Indiegogo. I understand contributing to the literary world but I'm not seeing a lot of difference otherwise?